Get your favorite items while supplies last. 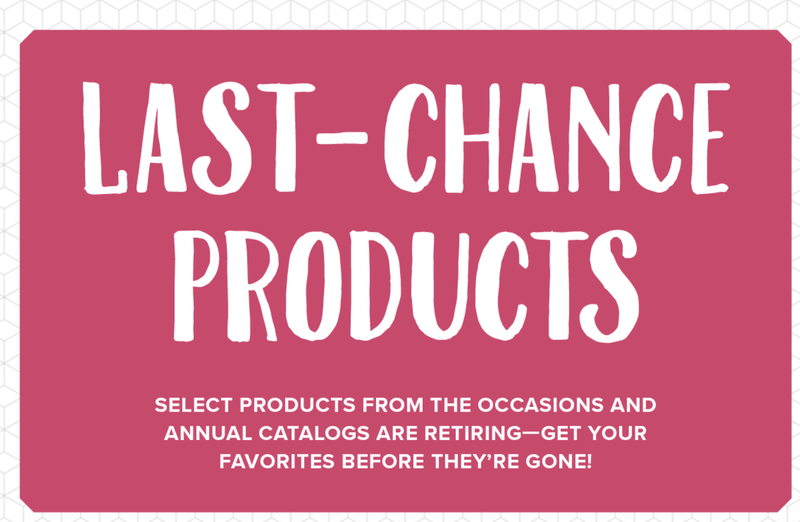 Click on the links below for both the Occasions and the Annual Catalog Retiring Lists. Please use Host Cost PGJYAYSG when ordering.